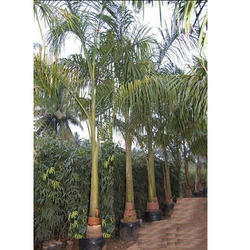 Leading Exporter of areka palm tree, botal palm tree, phoenix sylvestris palm trees, royal palm tree, table palm tree and fountain tree from Pune. The care of areca palms indoors isn’t difficult, but the plant won’t tolerate neglect. Water them often enough to keep the soil lightly moist in spring and summer, and allow the soil to dry slightly between waterings in fall and winter. Fertilize areca palm plants with a time-release fertilizer in spring. This gives the plant most of the nutrients it needs for the entire season. The fronds benefit from a micronutrient spray in summer. You can use a liquid houseplant fertilizer that contains micronutrients for this purpose. Make sure the product is labeled as safe for foliar feedings, and dilute it according to the label instructions. 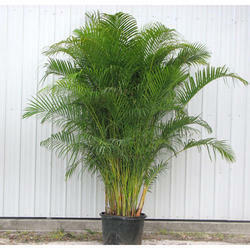 Do not feed areca palm plants in fall and winter. Areca palm houseplants need repotting every two to three years. The plant likes a tight container, and crowded roots help limit the size of the plant. The main reasons for repotting are to replace the aged potting soil and remove fertilizer salt deposits that build up in the soil and on the sides of the pot. Use a palm potting soil or a general purpose mix amended with a handful of clean builder’s sand. Not all of us are lucky enough to grow bottle palms in our landscape, but for those of us who can what a treat. These plants bear their name due to the trunk’s strong resemblance to a bottle. The trunk is swollen and rounded when young, becoming more elongated as the palm matures. Bottle palm is a true palm that is native to the Mascarene Islands where warm, balmy temperatures and loose, sandy soil form the plant’s habitat. Planting a bottle palm in northern climates is not recommended, as they are not frost hardy. 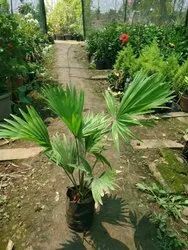 Southern gardeners, however, should know how to grow a bottle palm tree and make use of this unique and stunning tropical plant. Bottle Palm Tree Info Plants develop all sorts of amazing adaptations to help them survive. Bottle palm trees have evolved with thickened trunks topped with scaly crowns. The purpose is unclear but might have been a water storage device. Whatever the reason, the trunk makes for a standout silhouette in the garden or even as a potted plant. Caring for a bottle palm tree is a low maintenance chore due to its slow growth and drought tolerance once established. Advertisement The bottle palm is a true palm in the family Arecaceae. Its scientific name is Hyophorbe lagenicaulis. The last part of the name is from two Greek words, ‘lagen’ meaning flask and ‘caulis’ meaning stem. The name literally contains an important clue to the plant’s form. More interesting bottle palm tree info is hidden in the first part of the name, Hyophorbe. Broken down, ‘hyo’ means pig and ‘phorbe’ means fodder – an indication that the tree’s fruit was fed to pigs. Phoenix sylvestris (sylvestris - Latin, of the forest) also known as silver date palm, sugar date palm or wild date palm, is a species of flowering plant in the palm family native to southern Pakistan, most of India, Sri Lanka, Nepal, Bhutan, Burma andBangladesh. It is also reportedly naturalized in Mauritius, the Chagos Archipelago, Puerto Rico and the Leeward Islands. Growing in plains and scrubland to 1300 m, the fruit from this palm species is used to make vine and jelly. The sap is tapped and drunk fresh or fermented into toddy. The fresh sap is boiled to make palm jaggery in West Bengal state of India and Bangladesh. The plant is known as "wal Indi" Val Indi", by Sinhalese people in Sri Lanka. The word `Phoenix in the Latin name came from Greek and means "purple". while Sylvestris means "wild". The leaves may be used for making mats, bags etc. The tree is tapped to make a toddy. 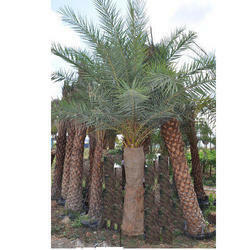 We offer an extensive range of Royal Palm Tree to our customers.We are engaged in supplying Royal Palms which are historically the most popular palms in landscapes. The African Tuliptree (Spathodea campanulata) is native to tropical forests in a broad area of sub-Saharan Africa. However, it is now grown far more widely than this throughout the world's tropics and has been reported to be an invasive colonizer in the South Pacific (e.g., Tahiti and Rarotonga, Meyer 2004), Puerto Rico, and Brazil. (Bittencourt et al. 2003 and references therein). In Tahiti, for example, S. campanulata often dominates lowland mesic forests as well as native upland wet forests up to 1,200 m in elevation (Meyer 2004). It was first reported from the Pacific Islands (Hawaii) prior to the 20th century (Whistler 1995). These trees grow very rapidly (measured trees in Puerto Rico increased their trunk diameter by as much as 2 inches per year), but require nearly full sun (Little and Wadsworth 1964). Under good conditions, they may begin flowering as young as 3 or 4 years of age, with trees grown in the open flowering when they are about 5 m tall (Orwa et al. 2009). Spathodea campanulata has large bright red flowers with the edges of the corolla lobes colored yellow ("corolla" is a collective term for all the petals in a flower). The flowering heads appear in circular masses with packed buds. The buds on the outer portion of the head open together, surrounding the inner buds. Looking for Palm Trees ?